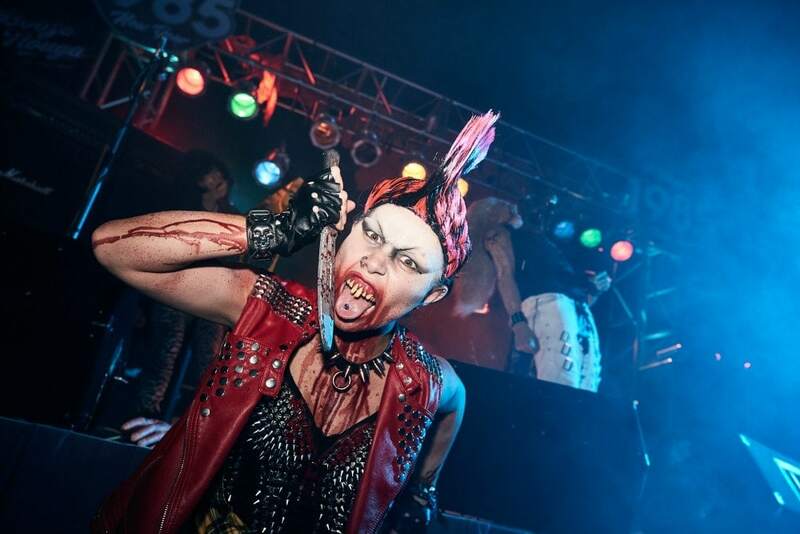 This annual event has grown from three nights and one haunted house in 1991 (it was originally called Fright Nights and was renamed the following year) to this 28th-year event with 10 houses, five scare zones, and one production show over 36 nights. 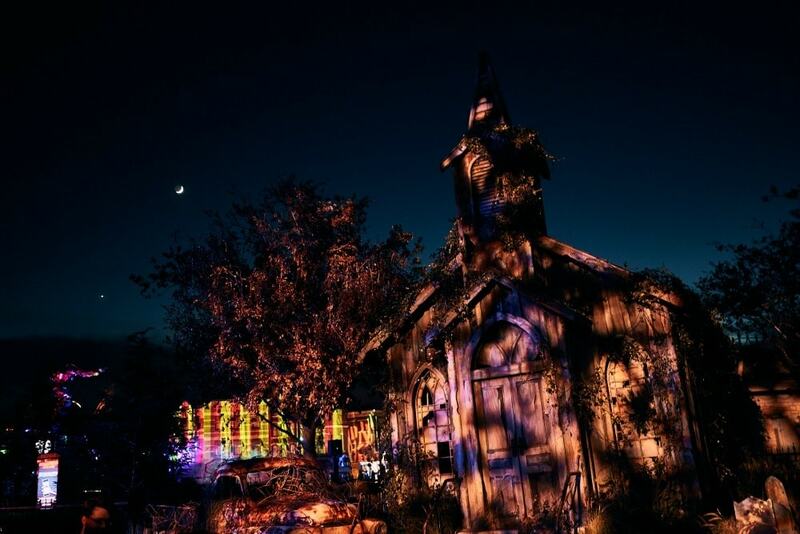 The houses and scare zones are a combination of original content specifically developed for Halloween Horror Nights 2018 and characters and stories from familiar movies, televisions shows, and pop culture. 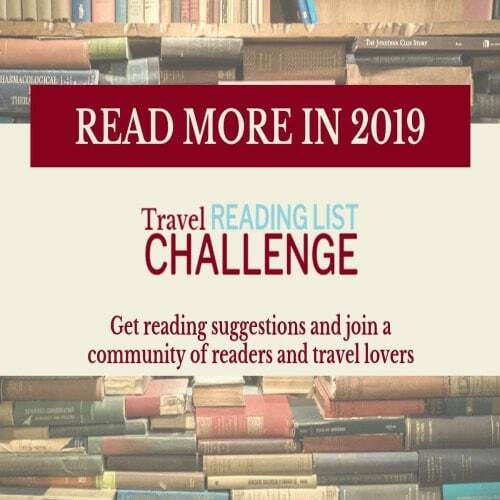 If you’re a fan of the horror genre, many of the themes will be familiar to you, if you’re not, you may want to watch a few movies to get in the mood. 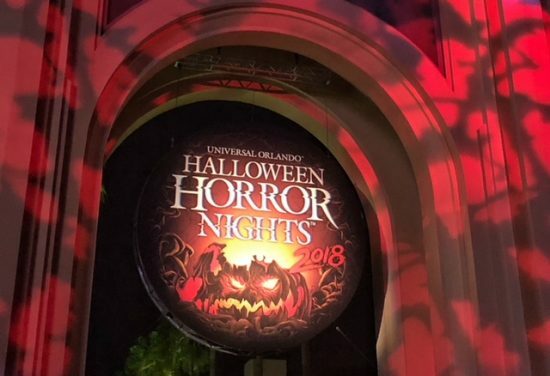 The following is my take and recommendations on what to see, how to see it, and some tips to enjoy Halloween Horror Nights 2018 (HHN28). There are 10 haunted houses at Halloween Horror Nights 2018 and seeing them all in one evening is going to be a challenge. 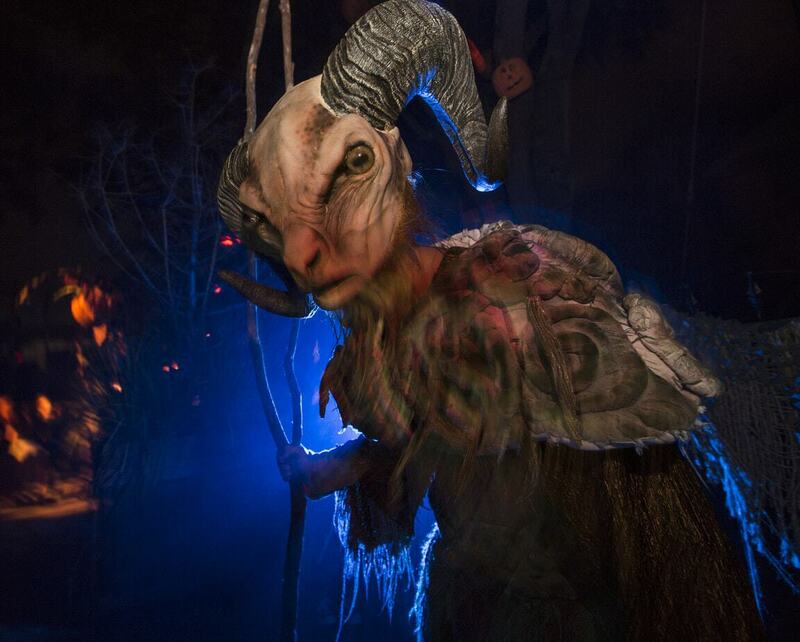 Here are some tips on how to plan for the best HHN experience before you even get to the park. Figure out the dates you want to go and set aside the time and money to do it right. 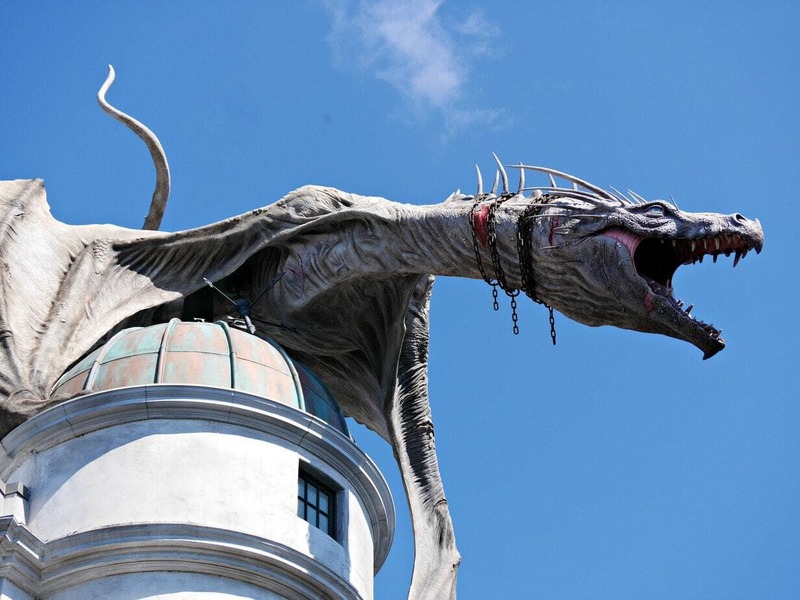 Tip: Stay at one of the Universal Orlando Resort hotels and take advantage of great value in their HHN packages. Even if you’re local, staying on property means you can avoid driving home in the very wee hours. I have reviews of several of the Universal hotels: Aventura, Hard Rock Hotel, Portofino, Cabana Bay, and Sapphire. Don’t pack too much into your schedule the day you’ll be going to HHN. Halloween Horror Nights is separately ticketed from regular park admission, so if you want to do both in one day, you’ll need two separate tickets (park admission and HHN admission). The park closes down, everyone has to leave, and then it re-opens for HHN. Tip: Maybe it’s because I’m getting old, but I want to be well rested for HHN. I’d recommend sleeping in, spending the day resting up by the pool and then tackling HHN with both mind and body rested. If you want to do the parks and HHN in the day, I’d recommend hitting the parks first thing in the morning, taking a long rest break in the afternoon, and then heading back to HHN around 4:30-5:00 for early entry (which allows you to remain in the park in designated holding areas until it re-opens at 6:30 pm). That option is only available in your have both a park and HHN ticket. Consider an HHN Express Pass to maximize your time and skip the long lines. You’ll still have some lines, but not the hour-plus wait at many of the houses. Tip: As an out-of-towner who would only be at HHN for one night, this is the bare minimum ticket purchase that I’d consider. If you’ll be coming over several nights, you may be able to save money (although not time) by queuing up at the HHN entrance no later than 5 p.m. so you can be in the first of wave guests let in. Guarantee you can see it all in one evening with an R.I.P. tour. These small group tours are led by a knowledgeable HHN guide who not only explains the house backstories and answer questions but gets you to the very front VIP entrance at each house. Tip: This is the option provided to the media on our tour of HHN28. While it is a splurge, this is the best way to ensure that you can get through everything in one evening. And, if you’re coming back for additional nights, you can prioritize your favorites on your own. Plan to eat before you get to HHN and maximize your time in the houses rather than waiting for food. Tip: Eat a hearty late lunch/early dinner that will fill you up and fuel you for the evening. There are lots of great options at the hotels and at CityWalk (Antojito’s in one of my all-time favorites). Hydrate. Before, during and after your time at HHN. While I was there, the temps were in the mid-90s with humidity around 60% – and this was at night. I went through several bottles of water, downed a beer in a few minutes flat, and it was a constant battle between hydration and sweating it all out. Drink lots, and watch your alcohol intake. Dress appropriately. You’re going to be standing and walking a lot, and the houses often have uneven walking surfaces. And, it’s going to be hot and humid. Tip: Wear lightweight clothes rather than heavy jeans, and flat, closed-toe shoes. Check out the Halloween Horror Nights map (downloadable here) and plot out your plan of attack to experience as much as you can. Download the Universal Orlando app. The HHN houses have been added to the app and you can check out the maps and wait times at each. Tip: While I recommend coming up with an action plan before you get there, I’d recommend referring to the app and wait times frequently and modifying as necessary. The app is available for iPhone (download here) and Android. Armed with all this advance information, you’ll be ready to tackle the houses. There are 10 haunted houses at Halloween Horror Nights 2018 and seeing them all in one evening is going to be a challenge unless you do the R.I.P. tour or are spending multiple evenings there. I’d recommend studying up on the various houses, their themes, and figuring out your top priorities to experience and get to those first. In my review of the houses, I’ve tried to avoid anything that could be a spoiler. Stranger Things – This was my FAVORITE house! Based on the Netflix series “ Stranger Things,” this house was full of the characters we’ve come to love along with the Demogorgon. It represents the first season of the show and includes the Upside Down. I loved this house and was able to get through it twice. If you’re a fan of the show, I’d recommend taking the time to do it twice. And if you haven’t seen the show, I recommend binge-watching the first season before you go. Halloween 4: The Return of Michael Myers – The house follows the theme of the movie of the same name and transports you to Haddonfield where slasher Michael Myers has escaped from prison and is hungry for revenge. Although I was never a fan of these movies, I enjoyed this house a lot. Poltergeist – Visit the Freeling home as they fend off evil spirits in a house based on the movie of the same name. At HHN28, “they’re back.” This was a very close second on my favorite list, perhaps because I was a fan of the movie (it scared the hell out of me). It’s full of the iconic images and symbolism and when we crossed into the light it felt a little surreal. Trick r Treat – This cult classic translates into a house where guests face the consequences of breaking the dark holiday traditions of Halloween. And yes, of course, Sam is there to administer it all. I like this house a lot, too, and think I’ll watch the movie again. The Horrors of Blumhouse – Based on two movies, Happy Death Day and The First Purge, this house creates a wicked experience. I didn’t love this house but wonder if I had seen the movies if it would have been more compelling. The Carnival Graveyard: Rust in Pieces – A nightmarish combination of the circus, lots of rust, and blood, made this house one of 80s camp and scares to match. This house was a lot of fun! Dead Exposure: Patient Zero – I liked this house for a couple of reasons. First, it’s set in Paris, one of my favorite cities in the world, and second, because it was the darkest house of the night. The theme is running from zombies before you’re put into a military quarantine, and I could barely see more than two feet in front of me. That made for some surprising scares, bien sûr! Scary Tales: Deadly Ever After – This house featured The Wizard of Oz’s Wicked Witch of the West tormenting some of our favorite fairy tale characters. Humpty Dumpty has a really great fall. This was another one that I liked a lot and I wish there had been time to go through again. Seeds of Extinction – After a meteor strikes the earth, making humans extinct, nature run amok. Prey plants are out to get you with razor thorns, suffocating vines, and poisonous pollen. This was another house in the like it, didn’t love it, category. Slaughter Sinema – The creative spelling should give you a clue that all is not as it might seem. In a retro throwback to 80s B-movie monsters and creatures, it’s like every scary movie rolled into one. There are werewolves, a deadly pumpkin patch, and killer barbers. I thought this one was fun, but not scary. HHN officially ends at 1 p.m. That’s not when the house actually close, it’s when they cut off the line. Grab a spot in line before 1 a.m., and you’ll still get in the house, although with wait times often exceeding an hour, you’ll still be out really late. Tip: Grab that last opportunity by getting in light shortly before closing. Since the houses are scattered around the parks in special tents, sound lots, and existing attractions, you’re going to be covering a lot of distance to get to all of them. Halloween Horror Nights has transition areas full of “scaractors” (rhymes with characters) to help create a seamless scary experience. Look up, down, and all around at the attention to detail to help keep you in the mood. 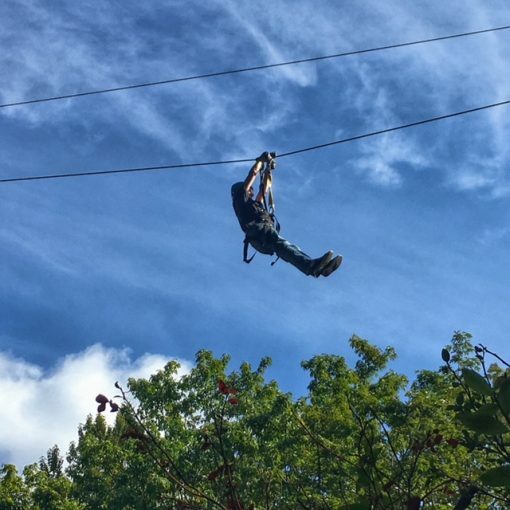 While the Scare Zones are spooky and scary, all sorts of creatures will jump at you, they are not as intense as the houses. And don’t worry, none of the scaractors will grab or touch you. They are camera friendly, however, so keep your camera or phone handy and snap away. Vamp 85: New Year’s Eve – Vampires at your New Year’s Eve party? Say it isn’t so! These guys are here to feast on flesh as the ball drops and welcome in 1985. Fun and campy, great music. The Harvest – An old barn and a lot of straw set the harvest theme, and then it turns rotten with foul smells and a harvest of flesh and screams. Dark and moody. Twisted Tradition – In re-created Central Park, evil is at work with rotting pumpkins full of human flesh. I thought this was a spectacularly decorated scare zone and loved the look created by pumpkins hanging in the trees. Revenge of Chucky – I’ve never been a Chucky fan, that creepy doll annoys me more than frightens me. In this scare zone, Chuckie is armed with a bunch of toys ready to do his evil bidding. Killer Klowns from Outer Space – It’s just what it sounds like, and we all know how scary clowns can be. See if you smell the cotton candy. With so much to see and do, you’ll want to schedule the production show when you think you’ll need a rest break. Pick up a bottle of water, beer, or specialty drinks (vendors located right outside the Fear Factor venue) and enjoy sitting for a while. Launched last year, the Academy of Villains show features lights, music, dance, slack-lining, special effects, all with a good vs. evil theme. Audience participation is encouraged. The show is performed at set times and fills up quickly (lots of people using it for their downtime). R.I.P. tours have reserved seating. With so many lights, sounds, smells, sights, and special effects, it’s easy to get exhausted or over-stimulated. Academy of Villains provides a chance to sit down, but the action doesn’t stop. When you need a break from it all, a number of Universal Orlando’s traditional rides and attractions are open creating a safe zone from the scares of HHN. In the following locations, you will find NO houses, scare zones, creatures, scary decorations, or anything connected to HHN. Additionally, some of the facilities and shops are open in Diagon Alley. I meant to get over for a frozen ButterBeer (refreshing in the heat) but didn’t manage to make the time. If you are exhausted, overstimulated, or just need a break from the intensity of HHN, you can find some safe zones in the rest of the park. A number of traditional rides and attractions were open, including The Simpsons Ride, Transformers, Revenge of the Mummy (one of my favorites), Men in Black Alien Attack (another favorite, can see myself riding it over and over), Rip Ride Rockit (a crazy roller coaster that I have no need to do again), and Escape from Gringotts. Many of the facilities and shops in Diagon Alley were open, making it a popular spot to rest up and grab a butterbeer. 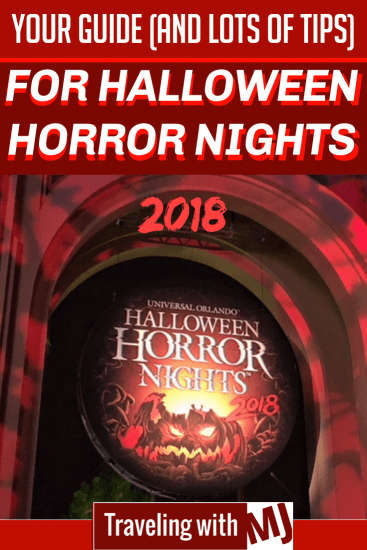 Halloween Horror Nights 2018 runs on selected dates through November 3rd, 2018. There are numerous ticketing options and packages. Check them out here and read the fine print carefully, before purchasing. 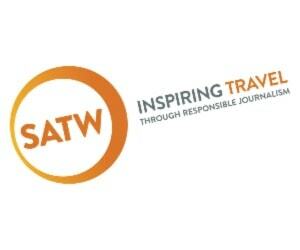 Or, use a travel agent well-versed in Universal Orlando travel. Not surprisingly, Friday and Saturday nights are the busiest. If you can avoid the weekend, do so. Wednesday is the least busy night, although “least busy” is a relative thing. It’s also expected that crowds may lessen (again, a relative thing) after Halloween. Halloween Horror Nights merchandise can be found in all the Universal gift shops, including those at your hotel. I picked up Stranger Things themed t-shirt and coffee mug (the latter is the souvenir I pick up wherever I travel). You can also order HHN merchandise online. HHN has a strict no touching policy. No one will touch you. And you should not touch anyone either. It’s for everyone’s safety. Violation of this policy may result in removal from the park. Bring along your patience. Lines are long, the temperature is warm, and it’s easy for tempers to heat up as well. Add in some alcohol and it could be a recipe for disaster. Don’t ruin your scary evening with boorish behavior and over-consumption. Masks and costumes are prohibited, but you can get into the scary spirit with fun t-shirts and face painting (minimal coverage). If you love the horror genre and would like to learn a little more about how the scary magic is created, sign up for the Behind the Screams tour. This daytime tour takes you through a few of the houses, giving you a look at how things are put together and special effects are created. I did this one year and loved it (you can listen to a podcast about the tour and a throwback look at Halloween Horror Nights 2016 here). I’d be remiss if I didn’t add that while HHN28 is wonderful fun, it may be too intense for young children. In general, it is not recommended for children under the age of 13. Now, obviously, we know kids under 13 who will love HHN and plenty of kids older who will be too spooked (heck, plenty of adults will be too spooked). If you’re bringing kids, discuss with them what to expect and how to prepare. Photo credits: The signage and dragon are mine. 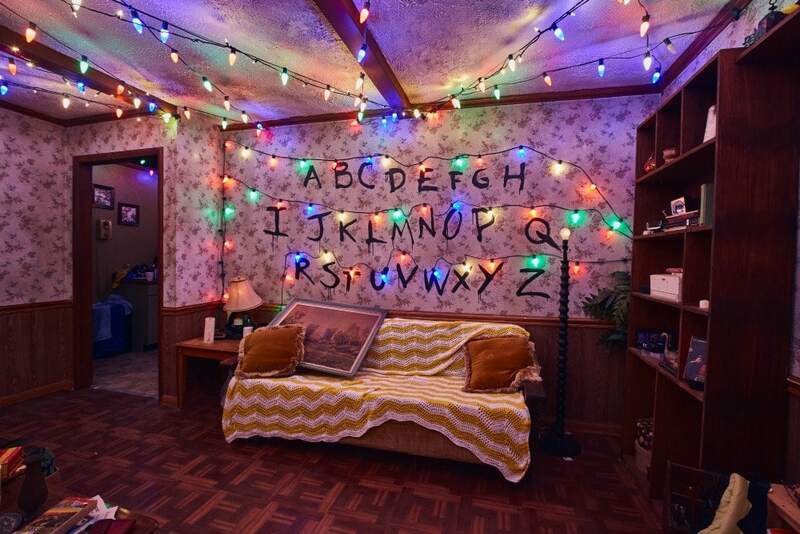 The photos from the Stranger Things house and the scare zones are courtesy of Universal Orlando Resort and are used here with permission. 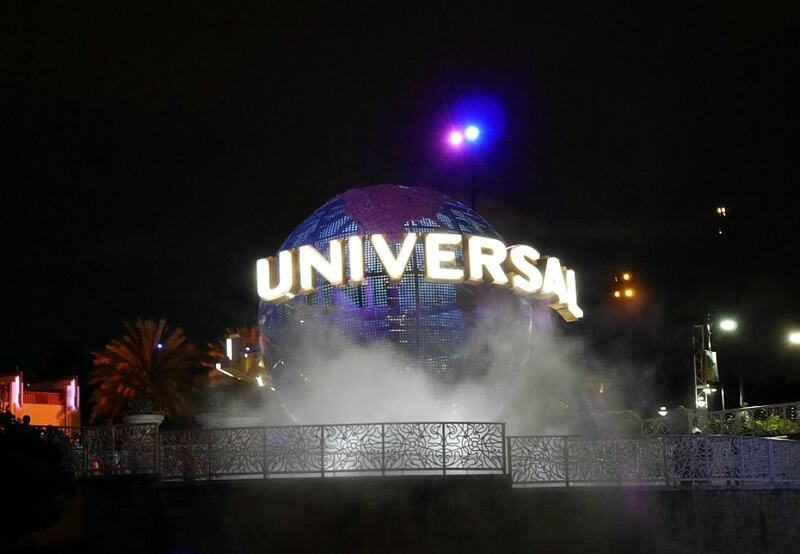 Disclosure: I was a guest of Universal Orlando Resort for the media event on Opening Halloween Horror Nights 2018. Many, but not all, of my expenses were covered by UOR.